If you religiously cut coupons, scour the internet for the best deals, or price match EVERYTHING, then get ready. 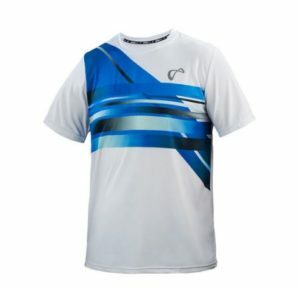 Almost reluctantly, Tennis Express is offering 25% off ALL apparel! This is not a drill people. You and I both know this is the sale you’ve been waiting for, and that if you don’t take advantage now you’ll be kicking yourself later. 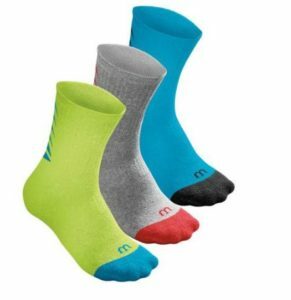 Where else are you going to find BRAND NEW gear discounted so heavily? This sale won’t last forever, so we at Tennis Express have outlined some ways that you can save cash FAST. So here it is, the insider information on the best and fastest ways to save 50 bucks with this great deal! We all know someone in our tennis circles who is completely obsessed with Roger Federer. Living and dying by the GOAT’s tournament results, this Federer junkie always has his latest outfit ready for tournaments – and a brand new tee celebrating the his latest success. With some major tournaments on the horizon and an extremely hot start, there has never been a better time to showcase your support for the greatest tennis player of (at least) our generation! 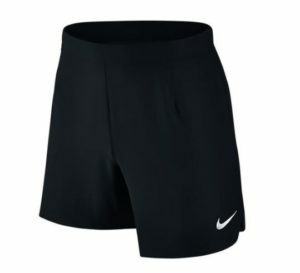 With the Premier Tennis Polo paired with the ­­­Court Flex 7 Inch shorts, you can look just like Federer will at Roland Garros. 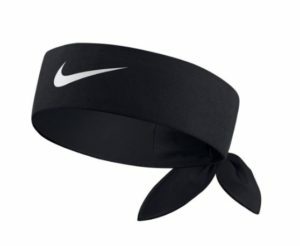 No GOAT outfit is complete without the headband, and Tennis Express has you covered for. Get these three items together and save 50 bucks at the register with our sweet 25% off all apparel deal! For all of those window shoppers who don’t believe in spending top dollar for the more expensive brands but have always wanted to try them out, now is your chance. With this sale, you can get the pieces on the highest shelves for mid level pricing. 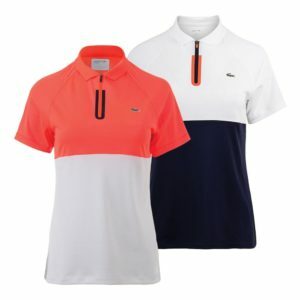 The Sleeveless Lacoste Polo won’t hold back that swing and it’ll be sure to dazzle when you pull it out. The Short Sleeve Color Block Ultra Dry Technical Tennis Polo is the perfect top to uniquely match your league team, or to show off your individuality. Made with run resistant fabric and a small zipper on the front, you’ll look cute every time. 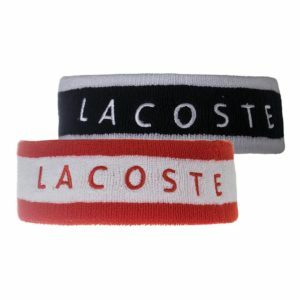 Classy cotton based Lacoste Headband will keep you looking hot but feeling cool. Get these three items together and save 50 bucks at the register with our epic 25% off all apparel deal! With this variety of brands, styles, tops and shorts, you’ll be able to begin, continue, or complete your kids warm weather tennis wardrobe! Although all of the tops look similar, they all serve distinctly different purposes. 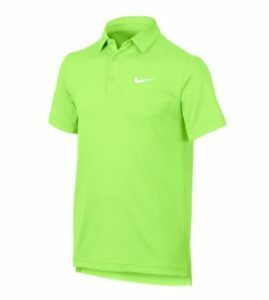 The Nike Legend Short Sleeve Top is for a practice day at the club. 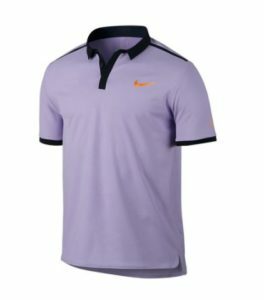 The Athletic DNA Hombre Match Tennis Crew and the Dry Tennis Polo from Nike are perfect for tournament weekend. 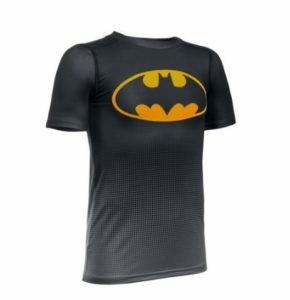 The Under Armour Baselayer Batman Tee is all for fun (and it also comes in Spiderman)! 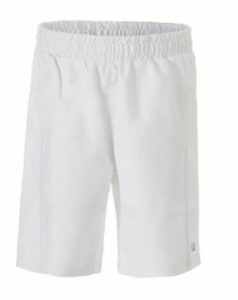 Kids are always in need of new, white bottoms and FILA has the solution with the classy Fundamental Piped Tennis Shorts. 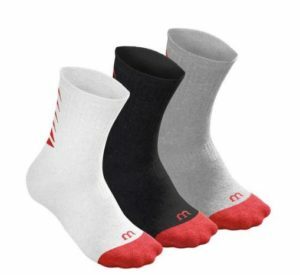 To match the wide variety of colored shirts here, grab both of these Wilson Sock Packs. Your child will be able to express himself to the fullest with all of these new threads! Get these seven items together and save 50 bucks at the register with our limited 25% off all apparel deal! Splurge on Your Favorite Brand! Some people will only wear one brand, and one brand only! If you swear by the technology or even by the history, we totally understand. Well, with our huge sale there’s no waiting ’til pay-day to make a complete look. Let’s say you’re our ASICS angel . . . then we’ve made two complete outfits you could get a steal on! 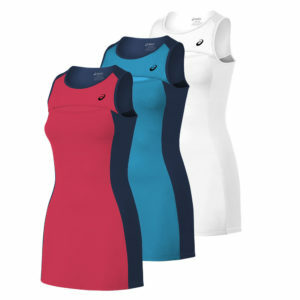 Pair the body beautiful ASICS Women’s Club Tennis Dress with which ever color ASICS Cushion Low Cut Socks you choose! 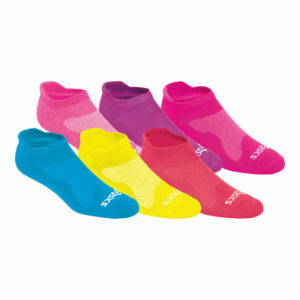 The spandex supported socks are in a bright 3 pack. 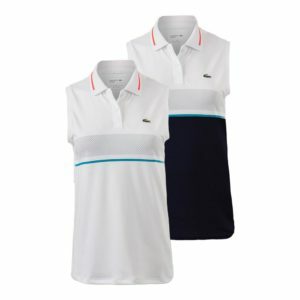 If you like the feel of movement when you play then try pairing the Women’s GPX Short Sleeve Tennis Polo with the Club GPX Tennis Skort! 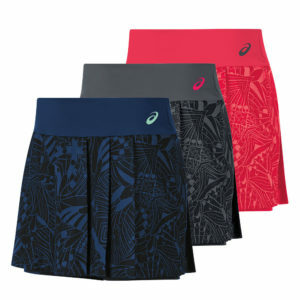 The pleated bottom is modestly printed and includes every tennis girls best friend, pocketed shorties! Say yes to splurging on the brand YOU love with this sale. 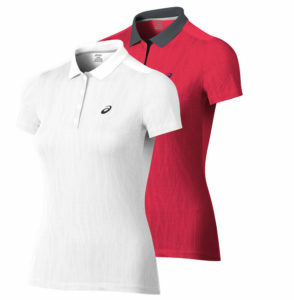 If you love the Short Sleeve polo because of it’s slim fit and mesh back, then go ahead! Shop on and save 50 bucks (like we just did on these four pieces) at the register with our limited 25% off all apparel deal! I’ve been waiting make some new additions to my closet for the upcoming warm weather, but now it’s time to shop. Share with us your best deals and looks you got with our great deal! Happy Friday and happy shopping! 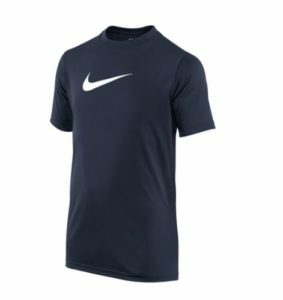 ← Our Summer 2017 Nike Needs!